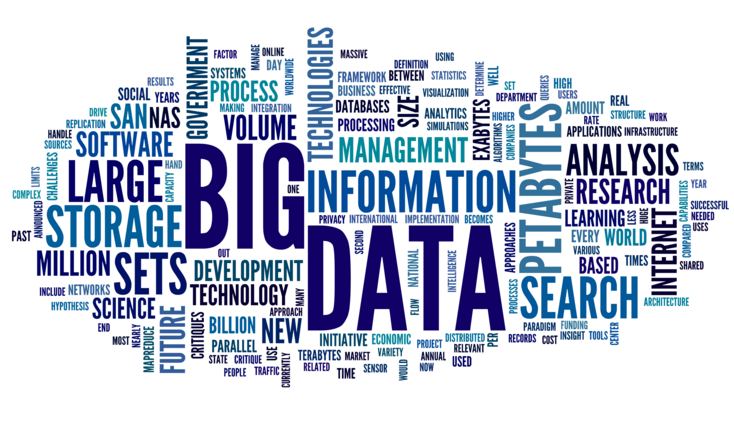 E911 Big Data – The Next Horizon – The World According to Fletch . . .
As we wrap up the events of 2012, I can’t help but look back on the fast-paced evolution that is taken place in the Public Safety industry. In the beginning of the year, NG911 was officially conceived when it was promulgated by the Next Generation 911 Advancement Act of 2012 that was part of the Middle Class Tax Relief and Job Creation Act signed into law by the President in February. By strange coincidence, just nine short months later, NG911 networks are being born around North America with texting to 911 being touted in several areas around the country. With these new emergency services networks being built, and ready to accept the extremely important “additional data” objects that originating networks can easily provide, the days of matching telephone numbers with street addresses in some archaic database that cannot be efficiently and affordably updated, are quickly going to enter their sunset phase. Some naysayers said it would never happen, or be years into the future, and banked on the continuance of the overburdened backend architecture of the legacy 911 network. Others, took a completely different tact and turned to technology that was not necessarily innovative in its nature, but completely new to public safety networks. New mechanisms of dealing with the “Big Data” available in an emergency situation required a new way of thinking that was essentially foreign to this environment. Fortunately, enterprise businesses have been dealing with the concepts of “Big Data”, whether they knew it or not, since corporate networks came into existence. Whoever came up with that concept had a very myopic view on business trends. Unless you are a radio station giving away tickets to the latest concert, “the exact order in which your call was received” is probably the most useless business strategy when dealing with customers. Public Safety also has its share of customers, however those customers are usually calling with life-threatening issues. It’s easy to understand, how in the past, choosing the most important phone call out of a group of 10 would be nearly impossible. All of the buttons on the telephone flash at the same rate, and the ringer on the phone for each line is identical. There is no indicator that is able to say “Hey! I am more important than the rest!” Given that scenario, potentially the fairest mechanism was “your call will be answered in the exact order it was received”. Think about that for a second. That argument is really no longer valid, as the business world is full of analytical research. Businesses act a certain way based on statistical data that’s available. It could be consumer shopping habits around a holiday, web browser history and associated keywords, or just about anything else that’s measurable or recordable. Here’s where the value of additional data, and Big Data, come into play. A classic example that’s commonly used when talking about intelligent call routing in an NG 911 environment is, a motor vehicle accident on the highway is generating 10 or more simultaneous calls into a single PSAP. These calls are identified based on two things. First, their origination network is the cellular network. Secondly the geodetic coordinates of the device match the coordinates of a motor vehicle accident already being worked. Assumption: Callers 2 through 10 are most likely calling about the motor vehicle accident. If there are no additional calls in queue, these can be answered “in the exact order in which they were received” following the legacy standards already in place. But, caller 11 shows up in the queue, and is originating from a landline telephone registered to a residence across town. Assumption: Caller 11 is most likely NOT calling about the known motor vehicle accident, and therefore is escalated in the queue, or assigned to a call taker who has been reserved for when these conditions have been met. Those of you who operate enterprise call centers, can already see the pattern developing here. While legacy public safety vendors are busy spinning their wheels trying to figure out how to deliver multimedia sessions to emergency call takers, folks like Avaya have figured that out years ago, and in many cases pretty much invented the call handling functionality, or at least were the first to implement it. It’s called workforce optimization or WFO, and it’s a common function found within the contact center products. We already know how to deal with “Big Data”, analyze it, and use it to efficiently route to call taker resources in large multisite networks. Although some may say calling a large retailer to complain about your refrigerator delivery carries nowhere near the urgency or resiliency required for public safety, and while I agree there is a significant difference in the nature of the calls, I also need to remind you of some simple facts. Most recently during hurricane Sandy in the Northeast, the utilities infrastructure was badly damaged with countless individuals out of service. For those citizens who had emergencies, in many cases those calls went to fast busy or unanswered as the legacy 911 network became oversubscribed and the calls went into a black hole “in the exact order they were received”. On the other hand, if you called Delta Airlines to find out if your flight was delayed, you were routed to a resource that could provide you with information or assistance. You might also be able to call your power provider, and based on your customer profile, you may be presented with a power restoration estimate. While doing some research on this topic, I ran across a great article by colleague of mine, Kathy McMahon, who was the Technical Services Manager for APCO International. If you are looking for a nice read on the topic of GIS, take a look at her article from 2010 in Law Officer HERE. Of course, getting that data into the Emergency Services IP Network is required, but fortunately the one thing we have understood for several years, is how to share data and collaborate across disparate networks in a secure and resilient manner. E911 getting a little “Smarter”?